A few weeks ago in prayer, an inspiration came to me that one could be completely freed from concupiscence. Now, I have never had a spiritual director tell me this, or have I ever heard a priest preach or teach this. I have never been taught that one can be free of the tendency towards sin. However, in that moment of insight, I could see that if God was moving one away from venial sin, and if one was working on the imperfections, concupiscence would be silenced and eventually disappear. One is not doomed to live in the throes of Original Sin. "The diminution of concupiscence is the increase of charity and the greatest perfection consists in having our concupiscence quite extinguished." Praise God! So, what the Holy Spirit put in my head two weeks ago or so is that if one continues to cooperate with the graces of purification, concupiscence becomes a thing of the past, as one moves out of the consequences of Original Sin into Illumination and Unity. I am not there by any stretch of the imagination, but the Holy Spirit was encouraging me. When the inordinate and unruly love of self and love of the world disappear, and when the love of God takes over one's heart, mind, soul, body, concupiscence dies. Death to self-will forms the basis for all of this movement of the soul to God. So, why do priests and bishops not talk about this? Because they have not let themselves suffer through purgation. Some have, like Bishop Schneider and Cardinal Burke, who see things clearly, because the world, the flesh and the devil have been, like scales, taken away from their eyes. Those of us who are not religious, but who are called to aid others in their spiritual lives, even by writing, encouraging, listening, giving advice in the world, are instructed by Fr. 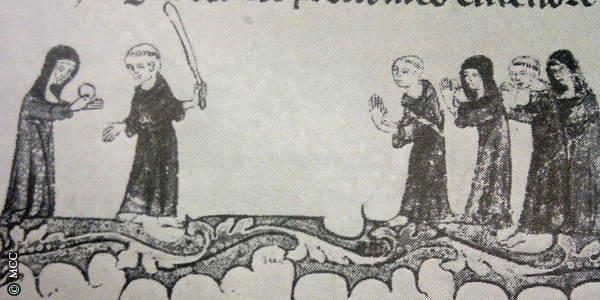 Rodriguez, to do mortification in order to become more perfect and a real servant. No one should be ministering in any capacity in the Church as a lay person unless one is willing to be purged of egotism, self-will. I have many posts on this fact. And, again, I am encouraged in my way after reading in Rodriguez one of my favorite passages used in other posts on this blog. "The kingdom of God is at hand and the violent are taking it by storm." "It is he, who, after this manner, having broken down the rampart of his passions, ascends with violence to the kingdom of heaven." Father Xavier told me at the retreat in March that, yes, it is possible to be free from all venial sins. To even be free of concupiscence provides another impetus to be violent with one's self regarding mortification. I shall do more soon on this book. Here are some similar posts. Etheldredasplace: Family Idolatry or The Church? Nov 6, 2014 - http://supertradmum-etheldredasplace.blogspot.com/2014/10/quiet- ....of co-operating with the government, like the Catholic church does here. There is an odd memorial in Upper State New York I have seen several times which notes that past this marker, there is no Sunday observance. This marker noted the end of Christian influence and civilization in long ago colonial days. The end of Sunday observance practically forms one boundary of the Adirondack State Park area. Even today, as I have lived up there for months in the recent past, Sunday is simply not kept by the vast majority of people. 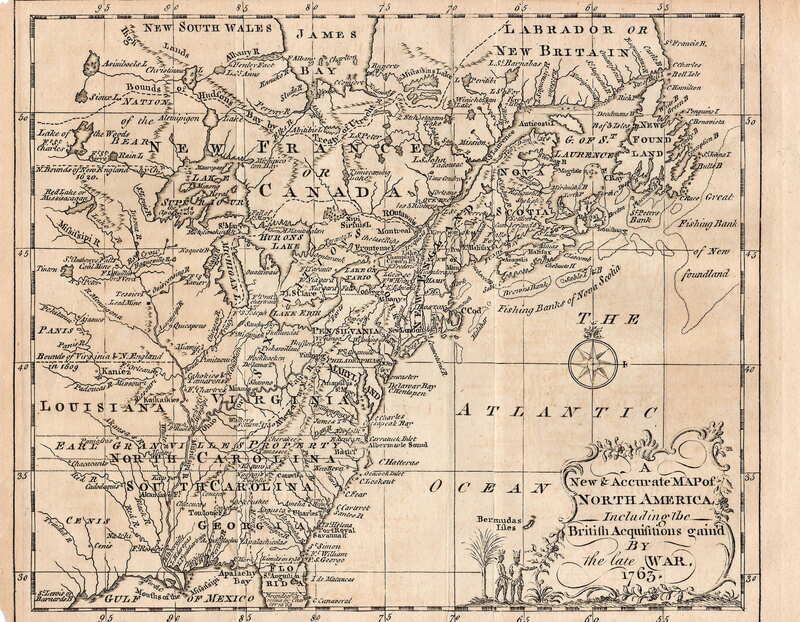 The Ten Commandments were apparently set aside early on in that part of the States. As the CCC states, the Ten Commandments are the moral voice of God, reminding us of our own moral voice, the conscience, reminding man of natural law. The Ten Commandments are not extras, but fundamentals, all based on the natural duties man has towards God and other men. The Catholic Church teaches an important point-all the commandments may be known by reason. Revelation underscores reason, and makes the commandments key to the life of the followers of God. Today, at nine in the morning, I was reminded that America is a nation of pagans. Grass cutting, weed clipping, pruning of trees and hedges all commenced, as if these things could not be done on Saturday or other days. These jobs in this area are done by lawn contractors, who have their own businesses and could choose not to work on Sundays. Only those who absolutely must work on Sundays, like nurses, doctors, firefighters, police and so on are given a pass to work on Sunday. Primary care workers and people in industries who cater to travellers who must travel, must work. Soldiers in the field must work on Sunday. Priests and those involved in ministries must work on Sunday. Americans have forgotten God, and His Day. I remember when shops were all closed on Sunday in Iowa. My mother remembers the silence of Sundays in St. Louis. To purposefully and carelessly break the Sunday work-ban is to commit grave sin. I grew up in Protestant territory and no one, not the Lutherans or Methodists or Presbyterians, cut grass or worked in the gardens on Sunday. Garden shops were closed as well. In one Midwest town and in another town in another state, the Catholic schools had to create their own league for soccer, as the public schools changed all the games to the morning of Sundays. This type of scheduling is sinful and unnecessary. St. James notes that to break one of the commandments is to break them all as there is a unity in the following of the law. Before I continue. a few notes from the CCC. Notice the last note--God does not ask the impossible. We make choices. That the West allowed work on Sunday, which occurred under the greed and avarice of the Industrial Revolution, as feeding animals and mucking out barns would be considered necessary and still are, was the beginning of the death of the West. People point to sexual sins as serious and these are, but working on Sunday, part of the first three commandments which owe God worship and justice, creates a godless society, one no longer focused on true worship of God, prayer, or reflection. 2185 On Sundays and other holy days of obligation, the faithful are to refrain from engaging in work or activities that hinder the worship owed to God, the joy proper to the Lord's Day, the performance of the works of mercy, and the appropriate relaxation of mind and body.123 Family needs or important social service can legitimately excuse from the obligation of Sunday rest. The faithful should see to it that legitimate excuses do not lead to habits prejudicial to religion, family life, and health. That many places of work now demand unnecessary work on Sunday actually is a tyranny against Christians. 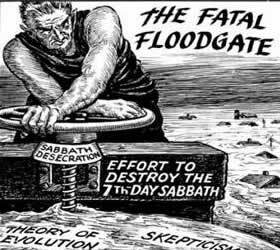 Some drug stores or chemists only have the pharmacies open on Sundays, which is reasonable, but to have the entire day of shopping open, making people work long hours, is a crime against God. God will judge severely those owners who make money by forcing labor on Sunday. This situation has caused great injustice in America and other places. Shopping and working are idols here. 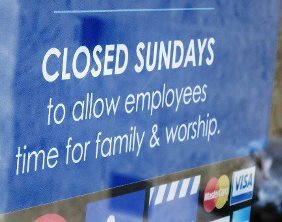 Idolatry of money (Mammon is a demon) and the capital sin of Avarice undermine the lives of millions of people who may not have a choice to not work on Sunday. But, one does not have to work in the home, do laundry, do yard work, work on cars and so on. If one owns a business, one cannot make the workers work on Sunday. Some people think that they are blessed when they get rich or prosperous. God is not the god of money. Prosperity may very well be from satan, not God. No longer is the "common good" considered but only personal wealth. Avarice has destroyed Catholic communities, which even in my lifetime, would get together on Sundays. We are the "Sunday People", an ancient phrase from a Catholic who was asked why he was going to Mass on Sunday. To work on purpose when it can be avoided is a serious sin. 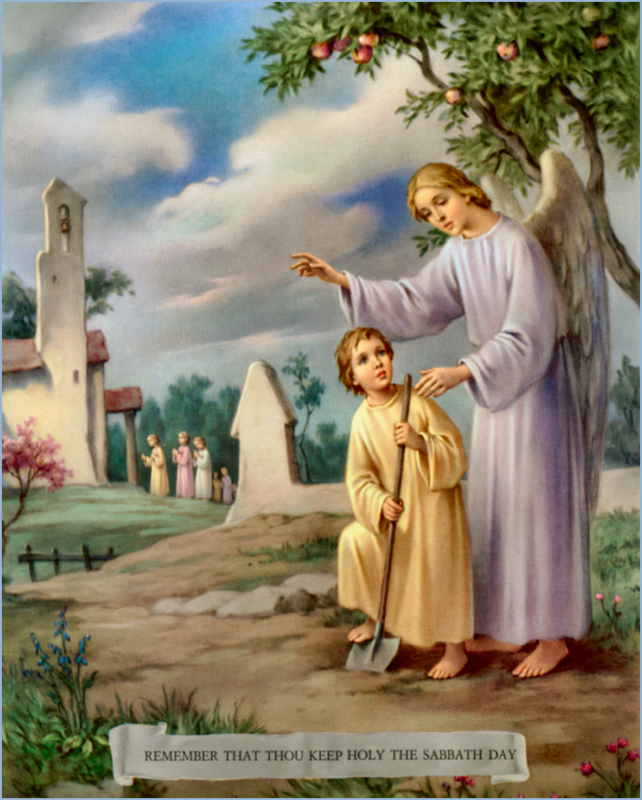 Did you know that Sunday was a day for engaging in the corporal and spiritual works of mercy? These are not options, but duties. America is a pagan nation. The spiritual and corporal works of mercy to be done especially on Sunday have been forgotten. I am moving to nowhere soon. That would be a corporal work of mercy for someone to take me in...I instruct the ignorant, counsel the doubtful, admonish sinners, bear wrongs more and more patiently, forgive offences willingly, comfort the afflicted and pray for the living and the dead. Not having a car, I cannot visit the sick, but I do give water to workmen if they are in the vicinity, and I do pass on clothes readily if needed, if I can. As a very poor person, I am limited in my ability to do the corporal works of mercy, but one can be creative. I can phone a sick person and pray with them, or encourage them, if I cannot get to them. Thankfully, in most cities past Ohio, buses do not run on Sunday. This is a hang-over from the times when shops were shut. Better if all the shops would shut. Sunday is the day to really do these works of mercy. 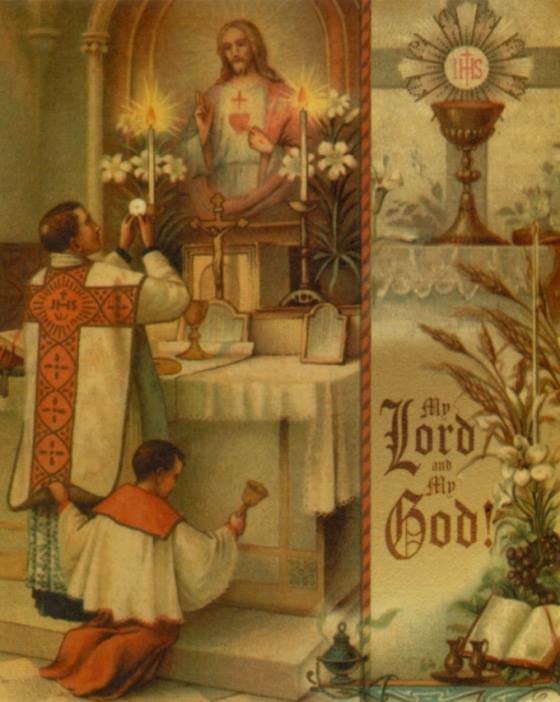 If one is not choosing to be a "Sunday Person", one mocks the very Eucharist we receive on this day. On the day called Sunday all who live in cities or in the country gather together to one place, and the memoirs of the apostles or the writings of the prophets are read, as long as time permits; then, when the reader has ceased, the president verbally instructs, and exhorts to the imitation of these good things. Then we all rise together and pray, and, as we before said, when our prayer is ended, bread and wine and water are brought, and the president in like manner offers prayers and thanksgivings, according to his ability, and the people assent, saying Amen…. But Sunday is the day on which we all hold our common assembly, because it is the first day on which God, having wrought a change in the darkness and matter, made the world; and Jesus Christ our Savior in the same day rose from the dead. For He was crucified on the day before that of Saturn (Saturday); and on the day after that of Saturn, which is the day of the Sun, having appeared to His apostles and disciples, He taught them these things, which we have submitted to you also for your consideration. Update-when I chose this passage from Justin, I did not know it would be in Monday's Office of Readings--synchronicity. Consider your own Sunday observance. Believe that the Lord will bless you, if not now, in heaven, for keeping His Day holy. I did not know this was on YouTube. Time to remember Our Lady. Yes, there is cricket in Germany! 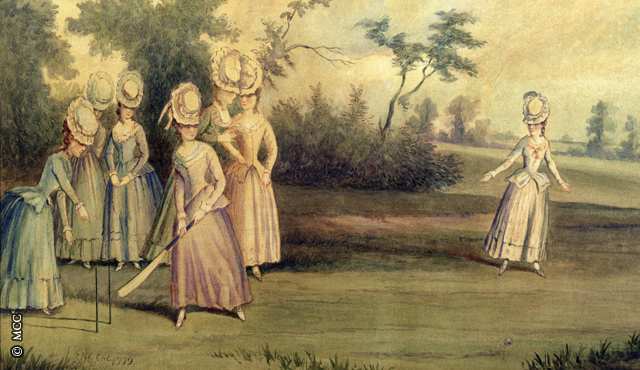 Did you know that cricket is a Catholic game? Monks and nuns playing cricket...Howzat? ..and to my one special friend there.